I call everyone's attention to a recent Wall Street Journal article http://www.wsj.com/articles/how-landlords-not-named-trump-can-avoid-paying-taxes-1476465734 which outlines one of the primary reasons that Presidential contender and real estate magnate, Donald Trump, has sheltered nearly $1 billion in income...through the exact same process that I am advocating for luxury vacation property owners. 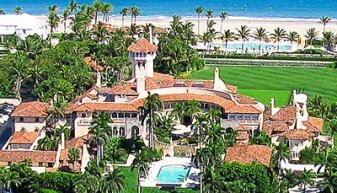 Now, I am not promising any of you, (with even the nicest of vacation homes) a tax savings of $1 billion like Mr. Trump...but I am suggesting that anyone with a vacation villa (worth at least a couple of million) consider the extremely profitable engineering process called cost segregation. See exactly what I am speaking of at one of my latest ventures at www.hlcostsegs.com. Then, reach out to me and we can chat about my actually paying for your study in exchange for empty time in your villa...for my other venture www.hlvillas.com. As I always say..."Nothing ventured, nothing gained."